At one point in my life when I had a lot of free time, and by a lot I mean hours and hours. I researched a lot on homemade recipes and recently decided to try some of what I remember out and tell you about them. For those of you who like facial scrubs but do not want to spend a lot of money getting a facial at a spa, you definitely have to try this. I know a lot of people usually just mix 2 of the ingredients, but I like to add a little extra. Here is how I do mine. 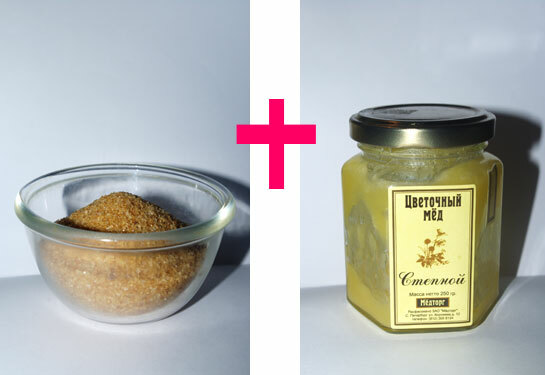 - Mix 1 tablespoon warm olive oil with 2 table spoons of brown sugar. - Add 1 tablespoon of honey. - 1 teaspoon lemon juice. - Mix well until a paste is formed. When making the mixture, you can change the proportion a bit, depending on the amount of scrub you need at the time. I like to mix less first, then if I feel it will not be enough, I can always add some more. Have you tried this facial scrub before? What did you think? I do love a good facial scrub but there are so damn expensive in the shops. When I get the time, will try this out and let you know of the outcome. This is really good homemade scrub, have been applying this scrub past 1 month and my skin was never so soft and glowing before. Thank you very much, very useful information, I am this problem for so many years. I will try to follow your suggestions.